Servoflo will be participating in the first ever Medical Sensors Design Conference taking place May 8-9, 2017 in Newton, MA. This event focuses on driving sensor development and innovation in medical applications. The conference is filled with various industry speakers from cutting-edge medical design companies and technologies. Sensors Magazine is offering a special code for $100 off your all-inclusive Attendee Pass. The code is SENSORSMAG. Join us at this new, informative conference! We have some specific pressure sensors on sale! Take a look at our clearance inventory for heavily discounted opportunities. These parts have never been used by customers. Check back frequently for updates. XFGM-6100KPGSR Fujikura pressure sensor, 0-100 kPa, 2.5% accuracy, surface mount 6 mm port 865 $1.00 or best offer Various lots since 2007, must purchase in reels of 500 pcs. 33A-002F-3210-R Sensormate SLP Series, SMT, 0-2 psi, 0.5 to 4.5V output, tape & reel 10,754 $3.75 or best offer From 2014 & 2015. Must purchase reels of 250 pcs. Payment terms are prepayment via check or credit card only. No performance guarantees or warranties are in effect. The pdf data sheet is in the model number link. The quantity available is subject to change without notice. Contact us or call us at 781-862-9572 to make an offer. 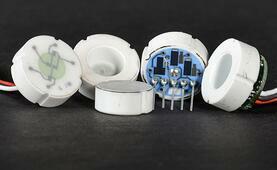 One of the most important aspects of our customers' success is the wide range of ceramic sensors offered. Our ceramic pressure sensor line includes many models with unamplified mV signals or signal-conditioned with analog or digital outputs. Customers can use sensors with the mV output if they are able to do signal conditioning and calibration. This allows the customer to modify pressure ranges, output, and accuracy to meet their specific application. The fully calibrated versions with voltage, 4-20 mA or I2C come in two levels of accuracy. Customers can do offset calibration after packaging the ceramic sensor. A customer can utilize these many options in one particular sensor model to create a family of products that can be offered to their own customers. 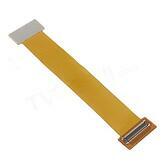 Unlike typical board mount pressure sensors, ceramic pressure sensors do need to be packaged. Our team of experts can assist you in designing the ideal package for your application. Furthermore, Servoflo offers a special evaluation mounting kit called MEKIT 0400 to help users test ceramic pressure sensors. This kit costs $145 and is useful for the following 18 mm diameter Metallux sensors: ME501/ME505/ME662/ME651/ME75X/ME77X/ME780. Servoflo is pleased to announce the FPWS Water Level Sensor. 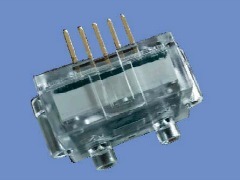 The FPWS is a gauge pressure sensor for -49 kPa to 68.5 kpa with a linear voltage output. 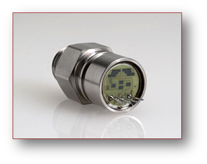 The sensor is oil-filled for specific use in tank level measurement applications. Typical water exposure is tap water with or without bath or cleaning agents. Below is a sample bath system using the FPWS. 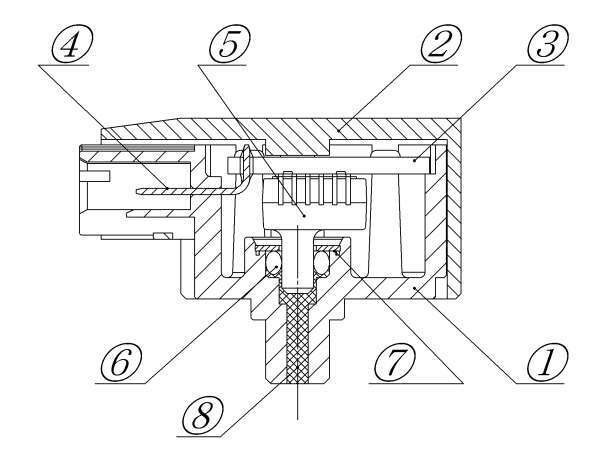 The following cross sectional diagram illustrates the sensor in detail. Items marked in red are exposed to the water. This one-stop solution provides customers with efficient and reliable design expertise without having to manage multiple vendors as well as streamlining assembly. Purchasing a complete solution saves customers money and time. Often, a bill of materials is reviewed and pressure is put on individual component costs. This strategy neglects the labor needed to inspect, integrate, and test various separate components such as a sensor element, cable, and package. A complete sensor solution can actually reduce overall bill of materials and labor costs. This sensor design strategy is also important for customers who may not have design expertise in these areas. If you have a special requirement you would like to discuss, please utilize the button below for fastest response. 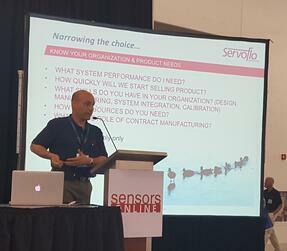 At Sensors Expo, held this past June in San Jose, David Ezekiel gave a special show floor presentation titled Key Factors When Selecting a Pressure Sensor. This presentation was created for those new to pressure sensors. The presentation detailed how to narrow these choices by looking at the skill set in your organization, overall product & system requirements, and other factors such as time frame, second sources, and contact manufacturers. By understanding the application basics, mechnical, electrical, and assembly factors, a user can then begin to narrow down the myriad of pressure sensor choices. For example, when should a user pick a lower cost unamplified, uncalibrated sensor over a calibrated and compensated sensor with more features but higher cost? For new users of pressure sensors, it is easy to get caught in this paradox of choice and be oversold on a sensor with features that may not be needed. Take a look at the presentation, and learn about how to not fall into this trap. Need help deciding which pressure sensor and conrfiguration is best for your project? Our experts have put together a Pressure Sensor Selection Guide to help you find the right solution for the right price. The following is a short synopsis of a new application note for the TR Series harsh media pressure sensor. The TR Series Pressure Sensor is a fully calibrated, back side pressure sensor for use with any media that is also compatible with silicon, glass, ceramic and solder. The TR Series is designed to be used with an o-ring, creating a face seal to the back of the sensor. Temperature - What are the minimum/maximum temperatures for both operation AND storage? Does the temperature vary during operation or is it stable? Pressure range - Identify the minimum and maximum pressures. Are they positive, negative or both? Fluctuating or constant? Media - Identify what is in your media. What are the exposure conditions (temperature, pressure and concentration of chemicals in media). The backside is exposed to the harsh media while the front is exposed to another environment. This front side must be protected from harsh media. Some o-ring features for users to decide include material and geometry options. Material - Different o-ring materials have different temperature handling abilities. A soft o-ring will provide a very compliant seal but many not seal well at high temperatures. A hard o-ring would seal well at high pressures but may induce high packaging stresses. Geometry options - O-ring size (both OD and cross-section) must ensure that media will not leak at the minimum and maximum pressure and operating temperatures. The bottom line is to test with static and dynamic analyses in addition to customer verification, as each application is a unique combination of temperature, pressure and media. Servoflo is pleased to announce the FSP1000 Ultra Low Pressure Sensor. This sensor is designed to measure ±1" H2O up to ±2" H2O. With a compensated temperature range of -5°C to 65°C, the FSP1000 has a fast response time of 5 milliseconds and has an I2C with 12 bit resolution and linear voltage output of 0.4 to 2.4V. The supply voltage is 3.0 - 3.6 VDC. 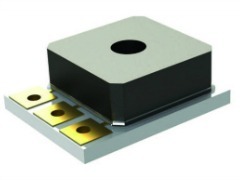 This sensor has a flow through design and can be placed in any orientation without affecting performance. The pneumatic flow resistance is less than 95 ml/min at 500 Pa. The sensor is fully compensated for altitude. Typical applications include but are not limited to medical, HVAC, instrumentation, critical containment and more. General anesthesia machines typically deliver a cocktail of gases to a patient to ensure sedation during surgery. Nitrous oxide (also known as laughing gas) and other gases are mixed with oxygen and delivered to the patient. The buffer area shown in the drawing below is where the combination of nitrous oxide and oxygen is mixed together. Here, the anesthesiologist needs to be aware of the mix of gases that is appropriate to the patient. At times, the combination needs to be adjusted depending on patient requirements. To control the level of oxygen and nitrous oxide delivered to the buffering section of the anesthesia machine, it is necessary to measure the volume of each gas. 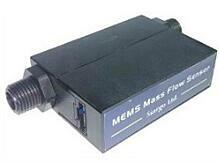 In the drawing below, the FS4008 mass flow sensor is shown as a method to measure and monitor the various gas levels. The FS4008 comes in various flow ranges from 0-10 SLPM up to 0-50 SLPM. Available outputs include linear voltage or digital RS232 or RS485, allowing for the FS4008 to be easily integrated into a control system for the various gases. The flow channel diameter is 8 mm, and there are exchangeable mechanical connectors for ease of installation (BSPT thread and one-touch connectors). At the delivery location of the gas mixture to the patient, another flow measurement point is needed. Here, the FS6022 mass flow sensor can play an important role in ensuring gases are delivered to the patient and then subsequently exhaled. Because the FS6022 has bi-directional measurement capability, it is ideal for use in the scavenging portion of the anesthesia machine, which expels the used gas from the patient's lungs. For details about the FS6022, you can also review our blog post: Mass Flow Sensors for Medical Ventilators. 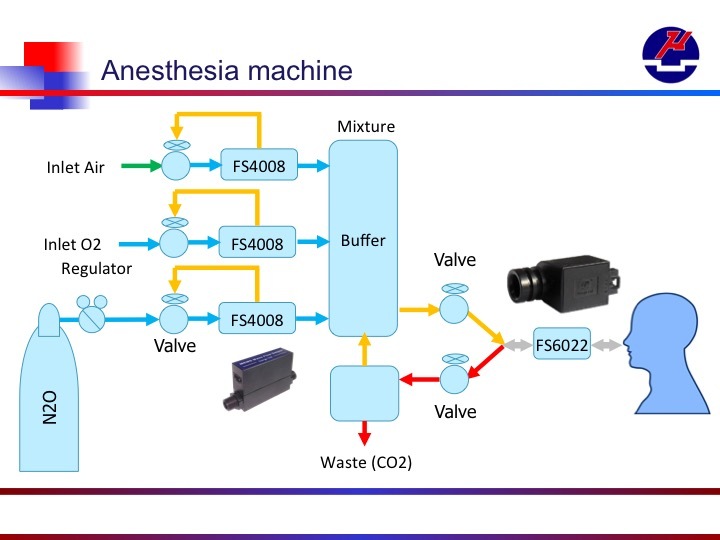 In summary, measuring and monitoring mass flow of gases in anesthesia equipment is a critical part of patient comfort and surgery success. Not only is it important to measure the mix of anesthesia gases, it is also vital to measure delivery of the gases to the patient. You can learn more about mass flow sensors here or download our mass flow product & pricing guide. Servoflo is pleased to announce the availability of new evaluation kits and a new driver board for the mp6 micropumps. The new Quad Series lets users drive up to 4 pumps simultaneously. This means that a user can design an electronics system using 1 mp6-QuadOEM to drive 4 mp6 pumps. Even more exciting, the new technology lets users increase the pumping rate of the mp6-air to up to 42 ml/min, since frequencies can be increased to 800 Hz as opposed to 300 Hz for the original mp6-oem. Pumping rates for liquids using the mp6 remains at 7 ml/min. mp6-QuadEVA: This kit comes with the QuadEVA board, 4 pumps, mini USB cable. An air version (mp6-air-QuadEVA) is also available. mp6-QuadKEY: This evaluation system has a detachable mp6-QuadOEM, and uses Arduino as an interface. An air version (mp6-air-QuadKEY) is also available. 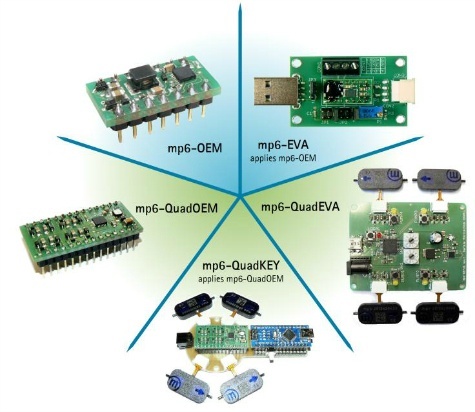 mp6-QuadOEM: New controller can be used by itself for integration into production. Parameters can be changed via I2C. To help understand the various performance differences between controllers, the 2 charts below describe the pumping performance for water and gas. To fully understand the different options, we suggest you start by reviewing this tech note, Controller Overview. To get pricing on these evaluation kits, you can simply email us at info@servoflo.com or you can download the Micropump Product & Pricing Guide.